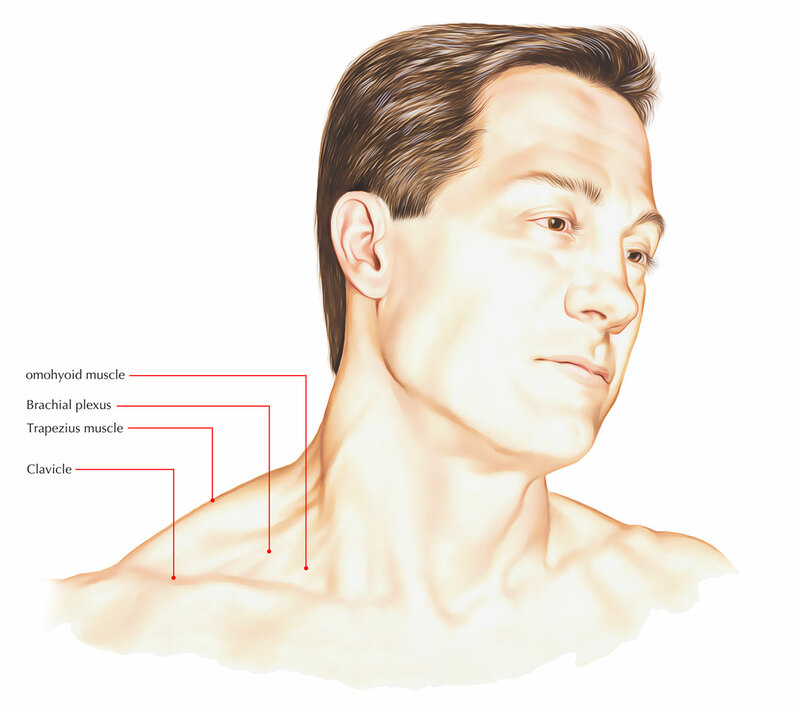 The omohyoid muscle is located on both sides of the neck and structurally it is a thin, long muscle. In the inferior belly of the omohyoid muscle, the muscle fibers originate via shoulder; therefore, its name originates from the Greek word for shoulder “omos”. These muscle fibers originate specially from the upper margin of the scapula. 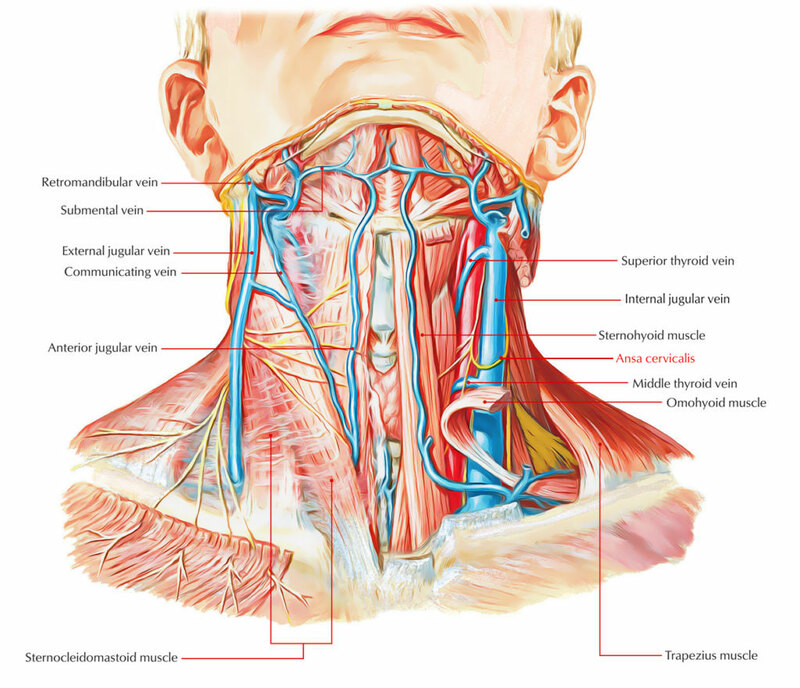 It originates from the apex of each of the scapulae and afterwards travels upwards via the neck and also connects towards the base of the hyoid bone. In the inferior belly, muscle fibers of the omohyoid muscle protrude forward as well as a little upward in lower neck in order to insert within the middle tendon. In the superior belly of omohyoid muscle, the fibers emerge from the middle tendon and change direction in order to project nearly vertically upward in the neck to attach into the hypoid bone. The omohyoid is a muscle having two bellies. The superior belly ends laterally to the hyoid corpus. The inferior belly emerges on the upper margin of the scapula. The bellies are fused at an intermediate tendon. 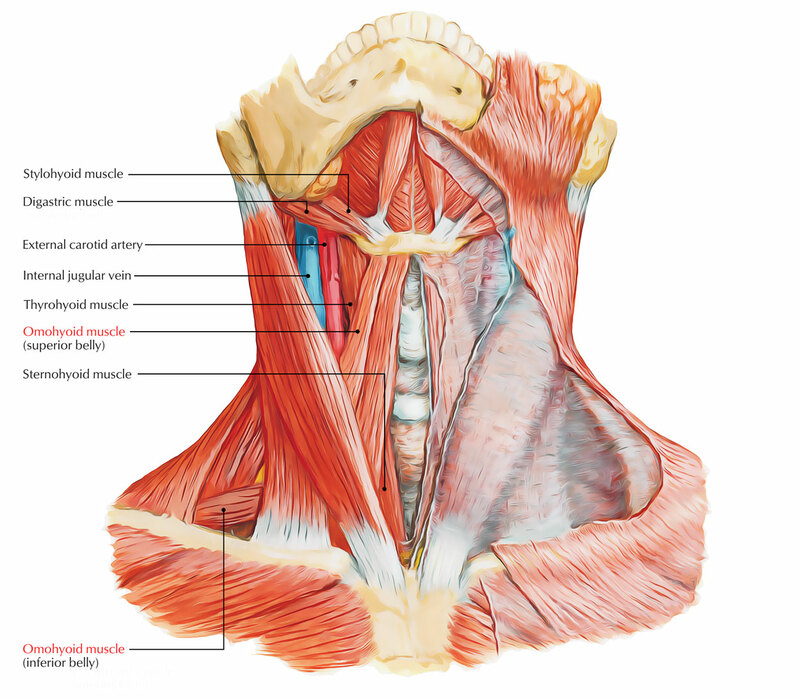 The omohyoid travels deep towards the sternocleidomastoid, which confines the omohyoid muscle in order to give it its distinctive angle, along with the deep cervical fascia. The omohyoid depresses the hyoid bone and larynx when tightened. The superior belly is supplied through the superior ramus of the ansa cervicalis emerging from the C1 spinal nerve. The inferior belly is supplied through the main ansa cervicalis emerging from C2 and C3 spinal nerves. Omohyoid syndrome is a disorder in which the omohyoid muscle gets agitated or injured. This damage is frequently produced by too much vomiting and car accidents that create whiplash injury to the neck. Omohyoid syndrome is initiated from damage to the fibers of the inferior belly of the omohyoid muscle. The syndrome is common in patients who had a session of intense vomiting recently or endured a flexion-extension injury of the cervical spine or the muscles of the anterior neck. Simultaneous trauma towards the brachial plexus may accompany trauma-induced omohyoid syndrome, together with upper extremity symptomatology. The pain of omohyoid syndrome exhibits by means of myofascial pain. It is continuous and aggravated with movement of the affected muscle. A trigger point is often found in the lower belly of the omohyoid muscle and is responsible for a source for treatment. Just above the clavicle the pain begins at the lateral part of the clavicular connection of the sternocleidomastoid muscle. The pain may transfer in the anterolateral part of neck.